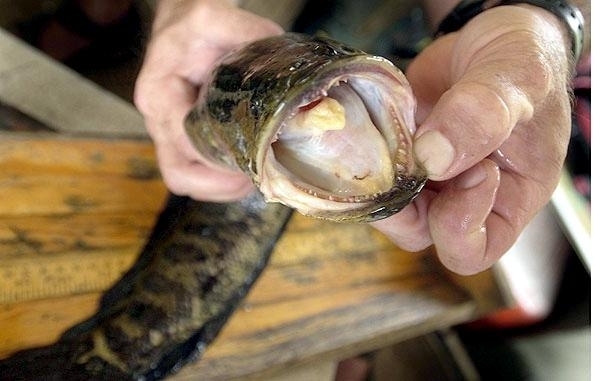 The Snakehead is an invasive animal in the United States. 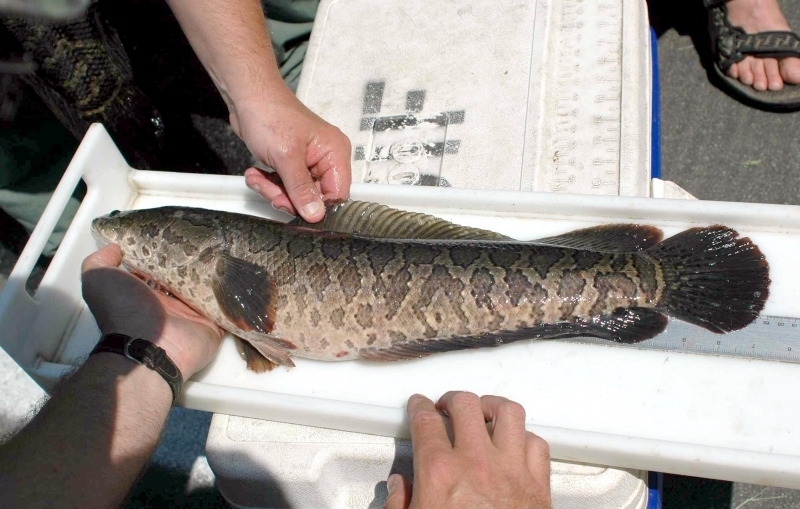 Originally from China, the Snakehead was found in an established population in Maryland in 2002, likely released by humans in error. 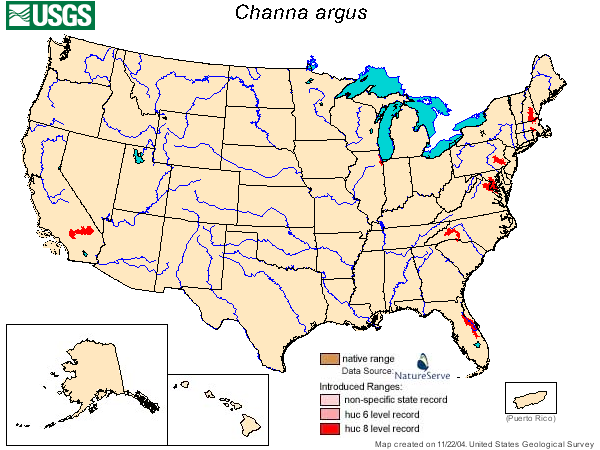 Currently, they have breeding populations in many states including Florida, Maryland, Massachusetts, Virginia and Rhode Island as well as sightings in many other states. 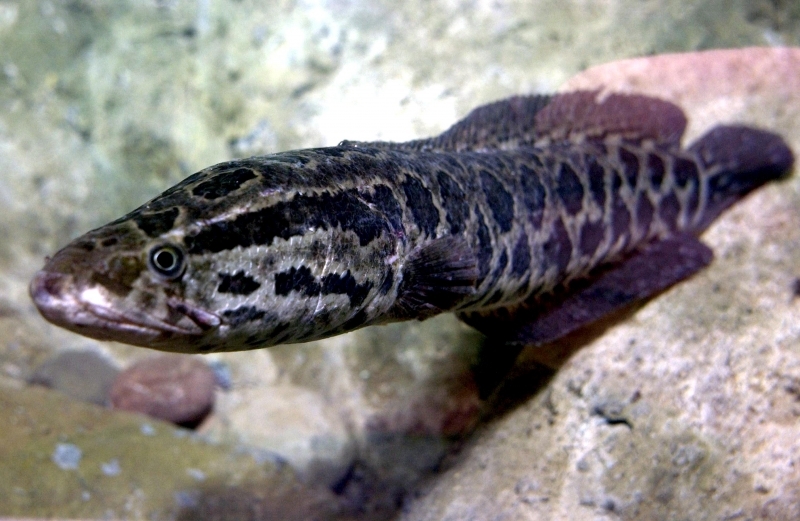 The Snakehead can reach a maximum length of approximately 33 inches when full-grown and are generally tan in appearance with dark brown mottled patches. 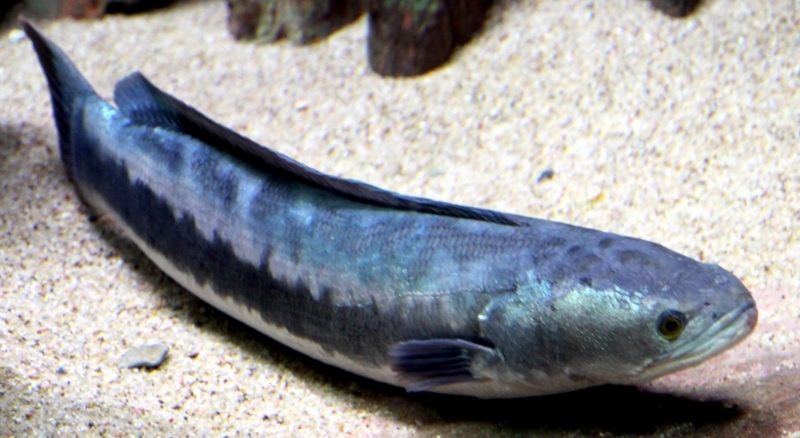 A pointed head reminiscent of a snake is what gives this unusual fish its name. 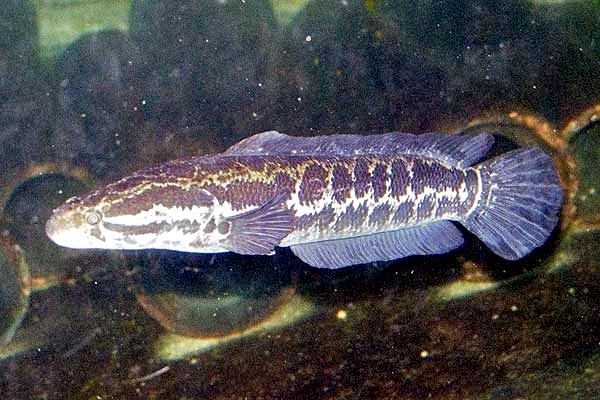 With a need to breath oxygenated air, the Snakehead can live outside of water for between 3-4 days as long as they are wet. 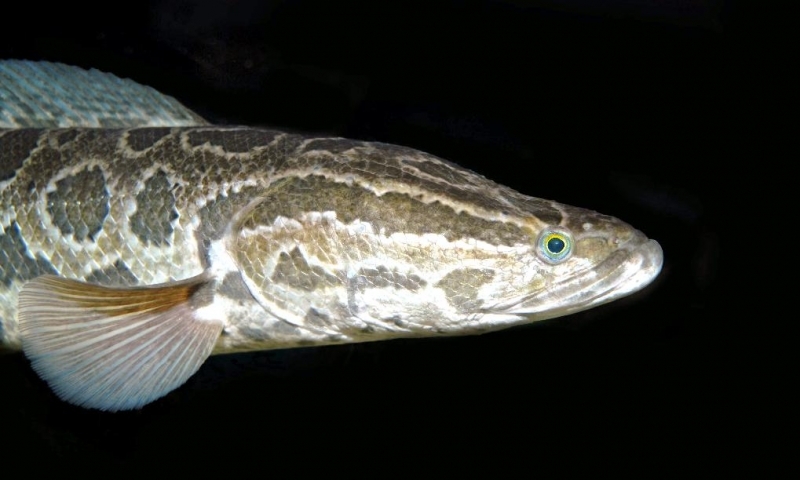 They can also travel as far as a 1/4 mile between bodies of water when juveniles, using their fins to propel themselves. 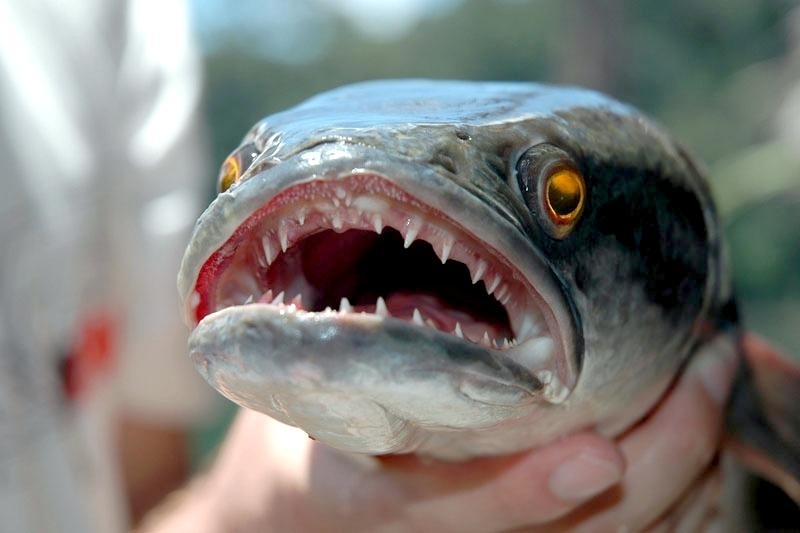 This makes them a formidable opponent as an invasive species since they are difficult to contain. 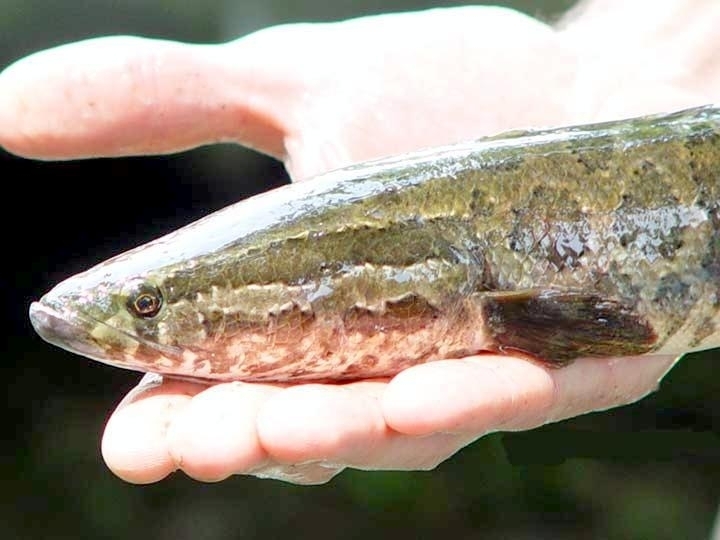 Exclusively a freshwater species, the Snakehead makes its home in lakes & slow-moving streams with a salinity of no more than 10 parts per thousand. 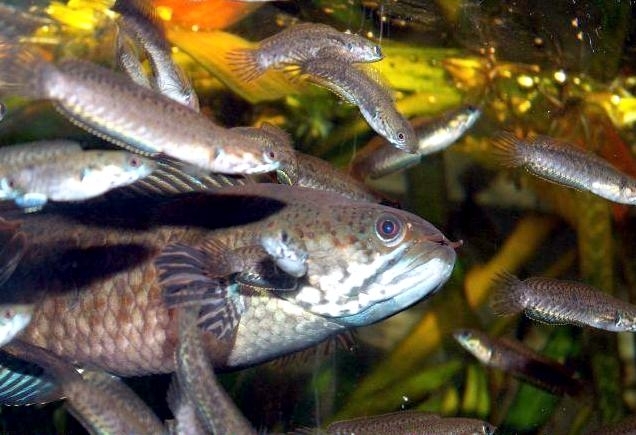 The fish can hibernate in cracks during cold weather and can also survive drought weather by burrowing into muddy banks of the streams & lakes it calls home. 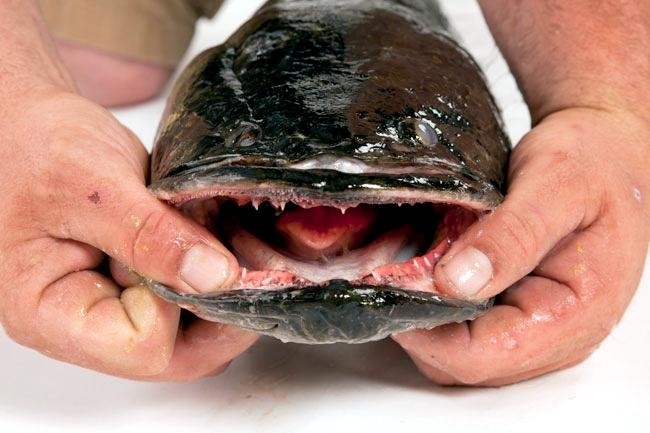 As mentioned above, the Snakehead needs to breathe air and uses a special lung for that purpose which means they can easily survive outside of water and as young fish can travel between bodies of water. 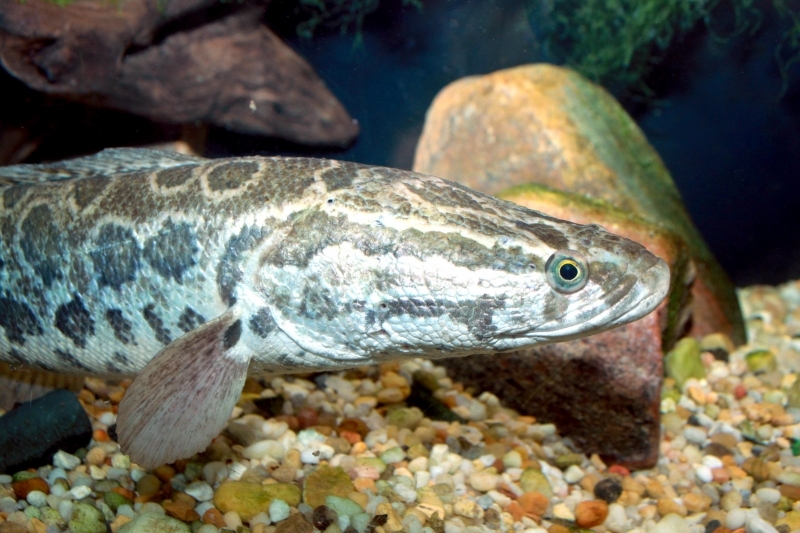 As a top-level predator, the Snakehead typically feeds on other fish as well as frogs and other small aquatic wildlife. 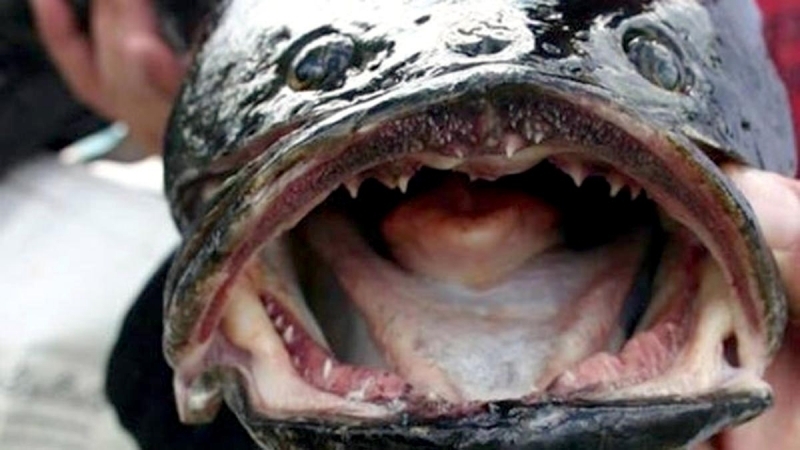 They are not known to be dangerous to humans or pets. 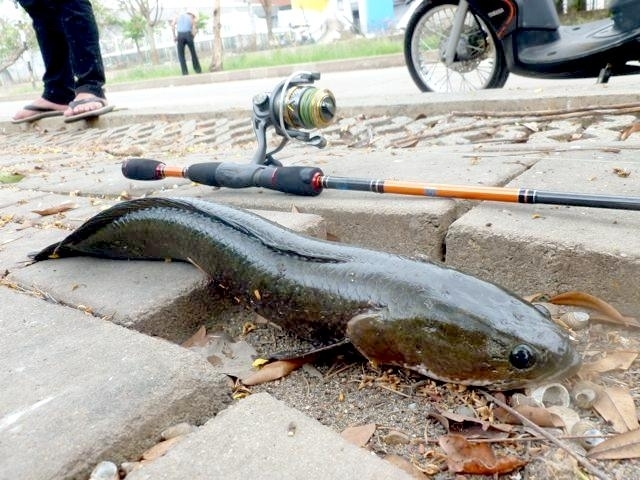 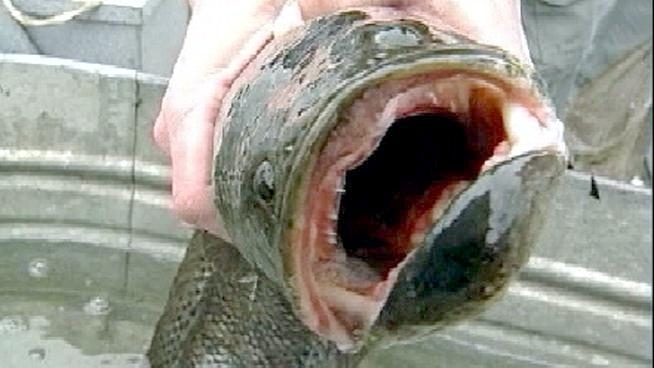 One of the most significant Snakehead facts is that it is considered an aggressive invasive species in areas outside of its native China. 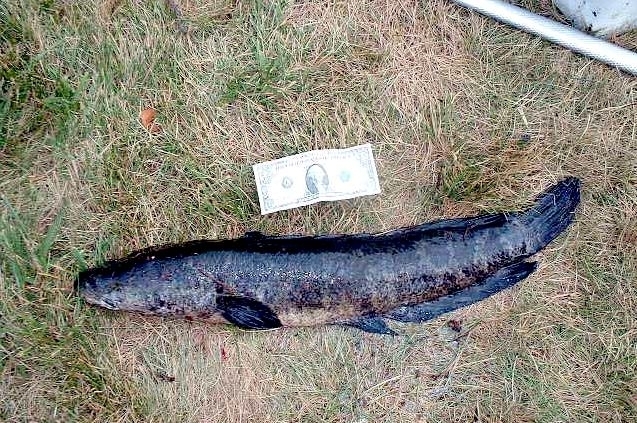 First found in the United States in Crofton, Maryland, the fish have used their ability to travel on land between bodies of water to spread extensively. 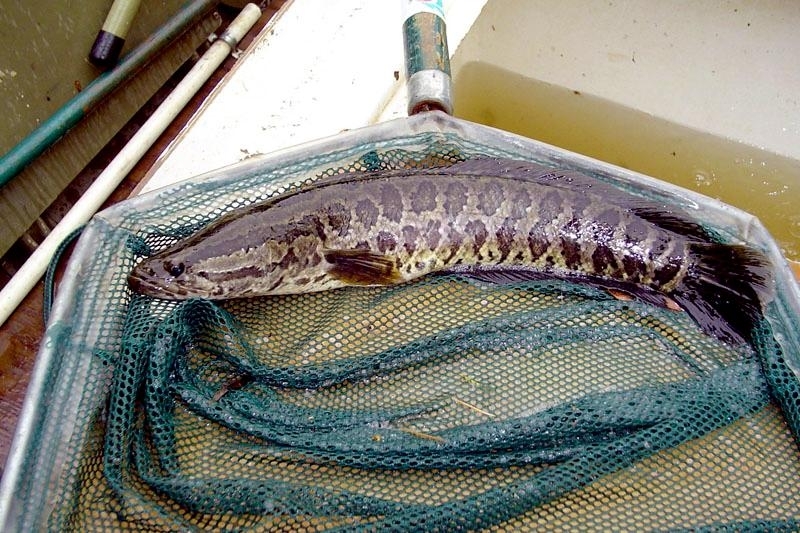 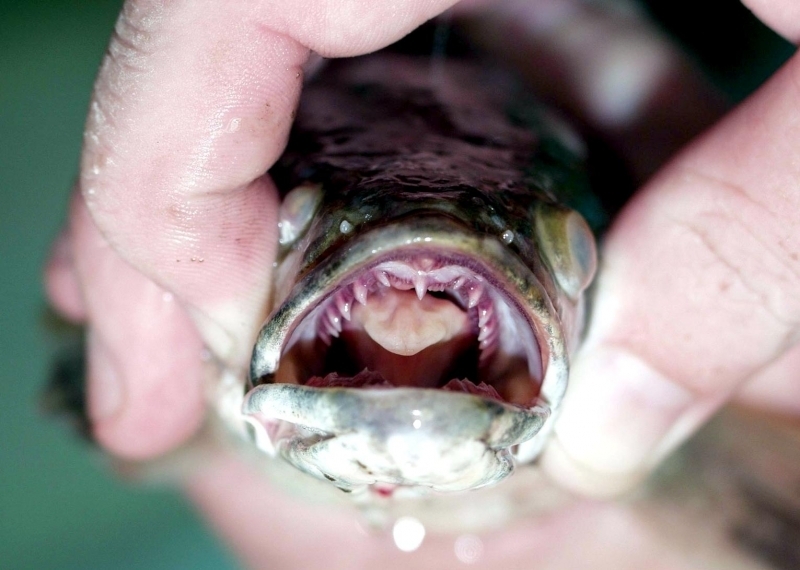 Snakeheads have caused major problems in ecosystems. 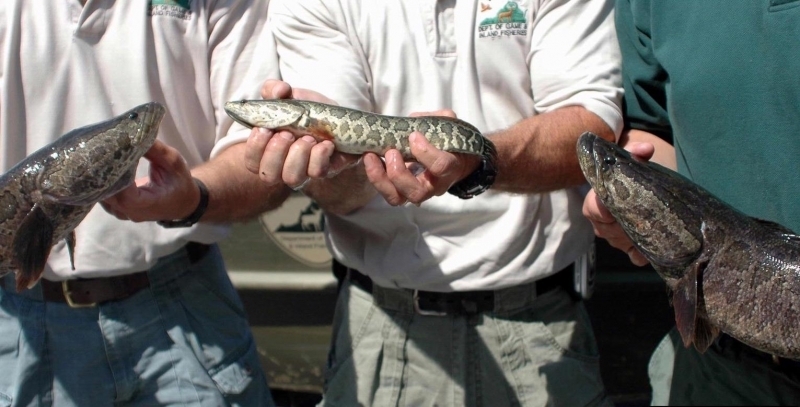 Additionally, they reach maturity within 3 years and reproduce quickly which is an additional burden on ecosystems that the Snakehead invades. 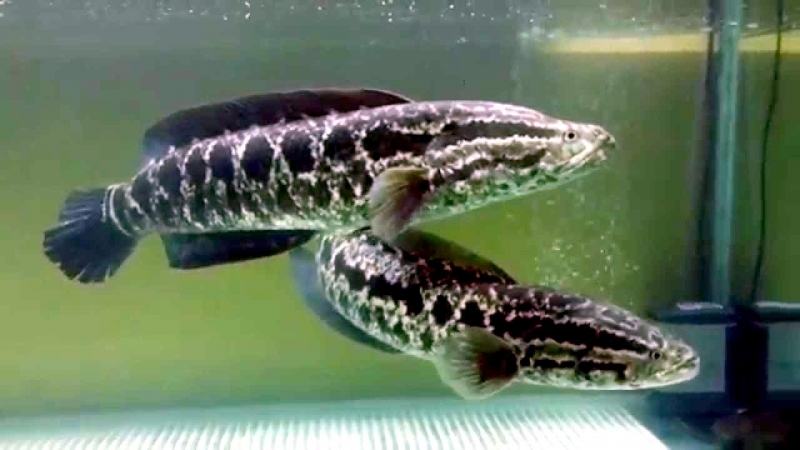 Young Snakeheads feed on plankton in the water and then fingerling fish while adults feed on other juvenile fish species. 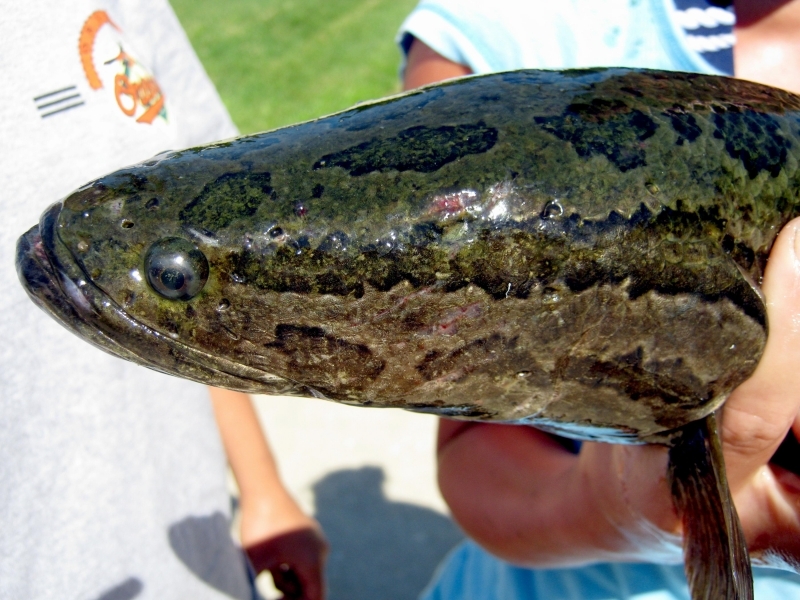 Because of this, the Snakehead can completely decimate populations of other fish, which can affect local fisheries. 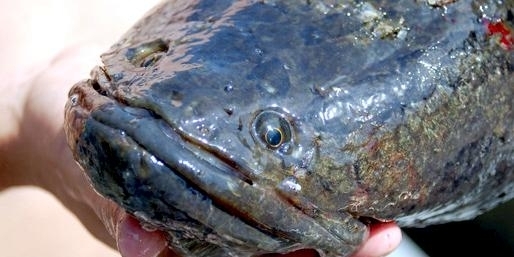 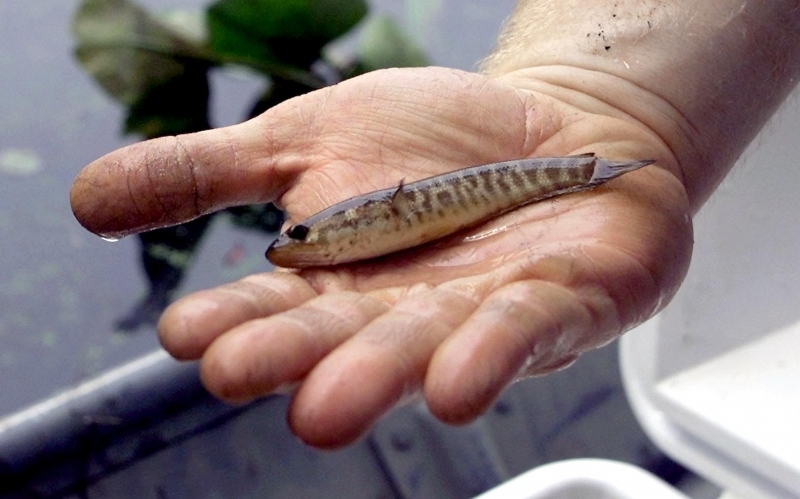 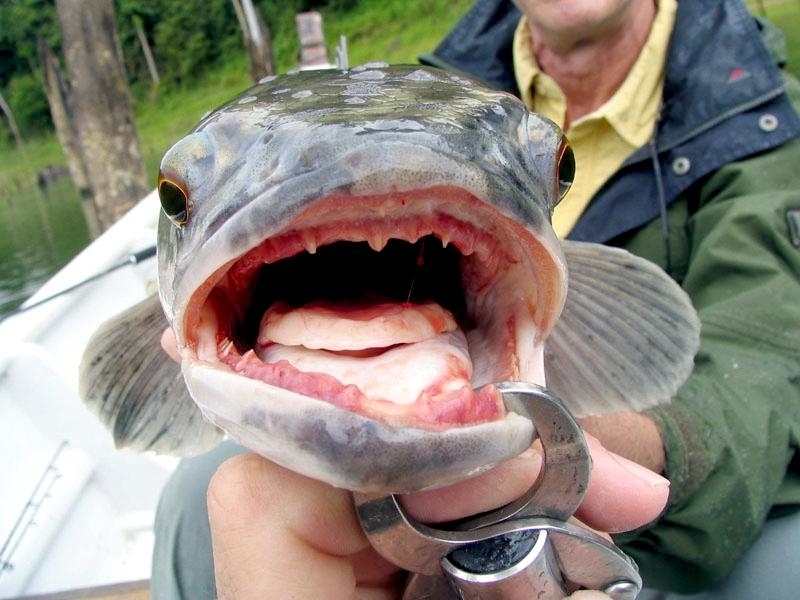 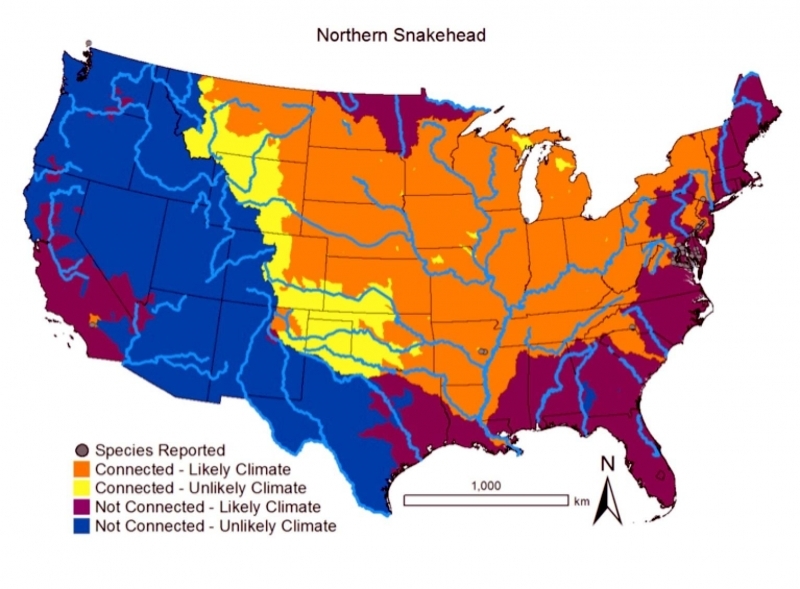 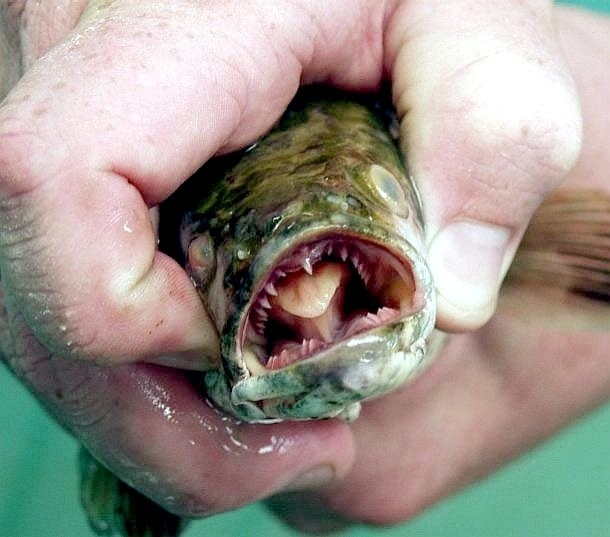 One of the biggest fears with the Snakehead in the United States is that they might invade the Great Lakes ecosystem. 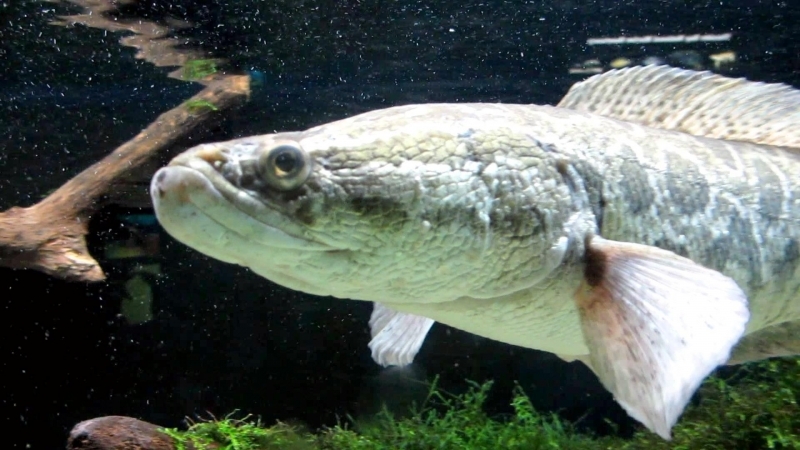 As 20% of the world’s freshwater, the Great Lakes are very important ecologically and are already under stress from over 180 aquatic invasive species. 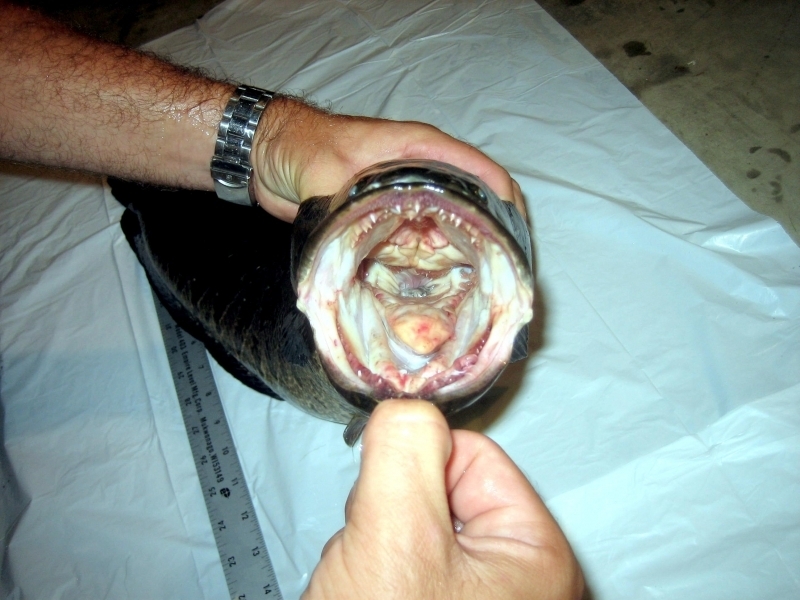 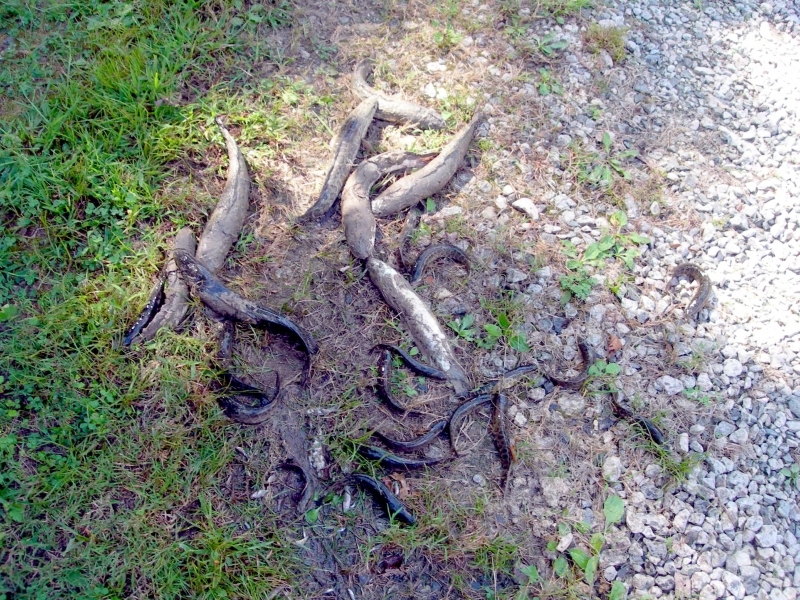 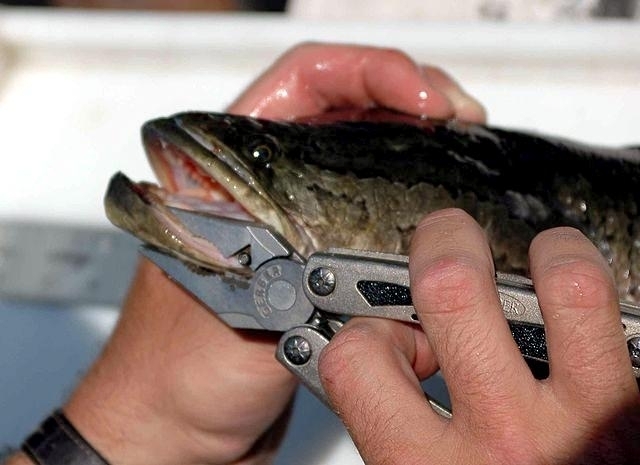 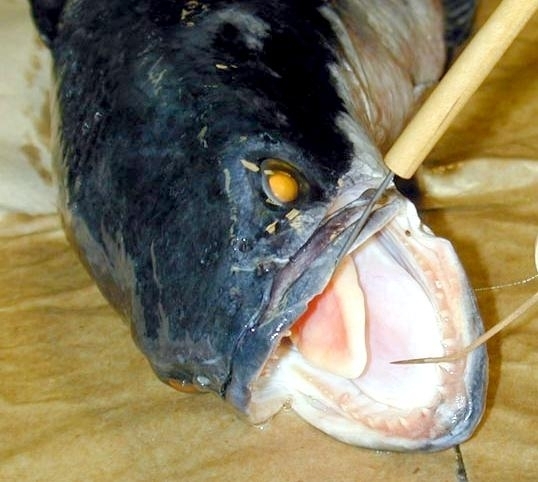 It is thought that the Snakehead could cause major issues if introduced. 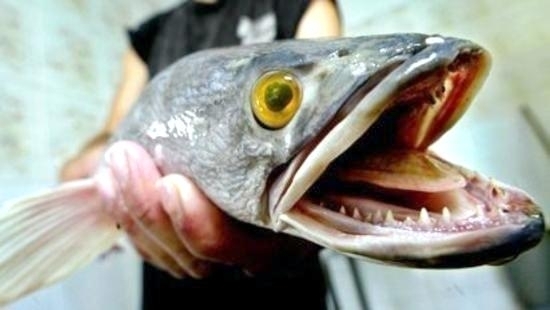 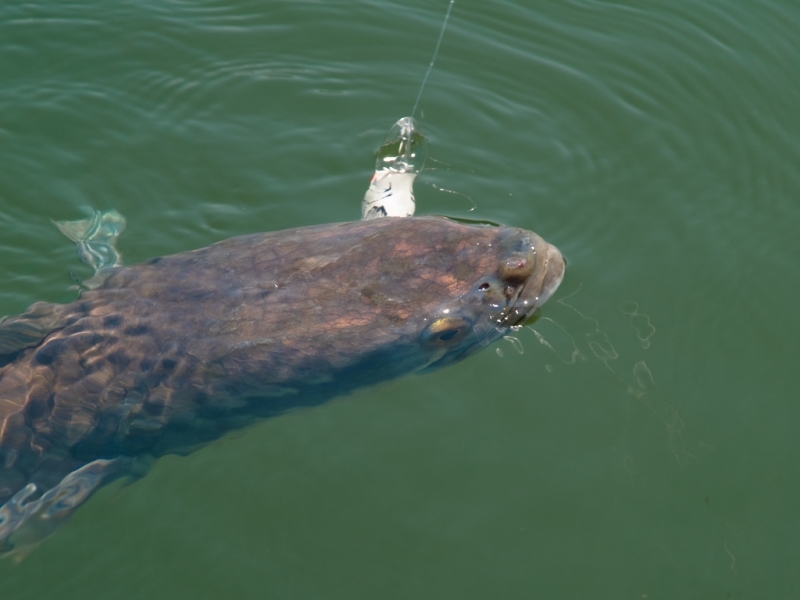 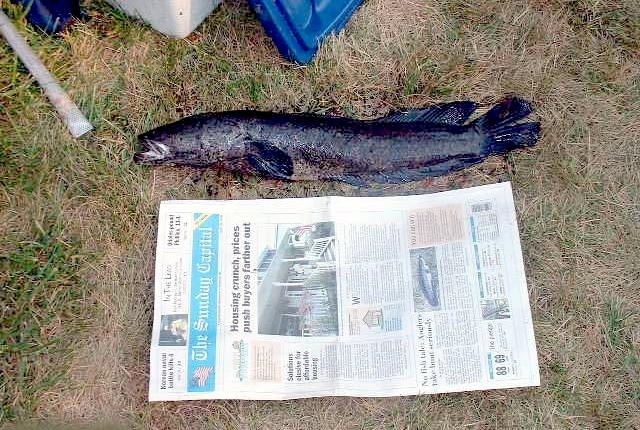 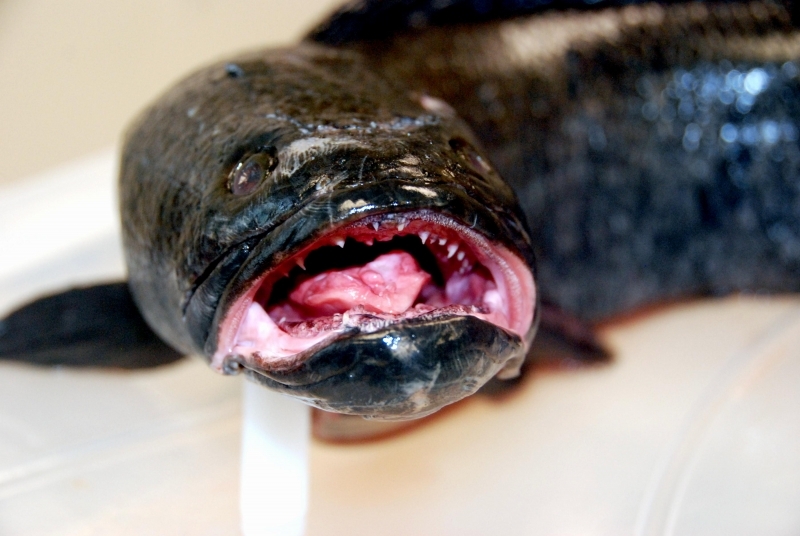 An individual Snakehead was found in Lake Michigan off the coast of Chicago in 2004, but there have been no further sightings since that time and it appears to have been an isolated incident.